The many methods and techniques of manual therapy all involve specifically directed manual force to the body in order to improve range of motion, relieve muscle tension and to reduce musculoskeletal pain. Because we are trained in a variety of massage and other manual therapy modalities; patients seeking manual therapy treatment are assured of receiving only the finest quality chiropractic care. Here at The Chicago Body Works, we carefully evaluate your condition before administering manual therapy treatment which may include traction massage, deep tissue work, soft tissue mobilization, joint mobilization and more. According to a recent chiropractic article, 60 to 80 percent of the population in North America will suffer from back pain or injuries at some point during their lives, with one to five percent suffering from chronic back pain that lasts six months or longer. In order to address this common condition, the chiropractic professionals at The Chicago Body Works assess your specific condition and implement the safest and most effective subluxation correction methods. We at The Chicago Body Works provide advanced chiropractic manipulation and subluxation treatments by utilizing the latest chiropractic techniques and technology. Our chiropractic knowledge and experience performing spinal adjustments allow us to effectively correct the alignment of your vertebrae, resulting in an increased range of motion, reduced nerve irritability and improved body functionality. If you’re suffering from back or leg pain, your chiropractor may use a number of different techniques to locate the root cause and release tension or pressure in the affected area. The Cox Flexion Distraction Technique is a non-surgical spinal manipulation adjustment technique that helps to stop pain immediately by realigning the spine and restoring range of motion in the joints and muscles, thereby increasing flexibility and improving your posture. The Cox Technique is designed to be a safe, nearly-painless alternative to back surgery. By applying pressure in key areas of the back; the chiropractor effectively decompresses the discs by applying a gentle stretch to the lower spine, and a series of repetitive movements and thrusts to reduce pressure. The Flexion-Distraction technique is typically performed on a special table that helps to gently separate the spinal joints. Only slight pressure is applied to the body throughout the process, and the goal is decrease pressure and decompress the inflamed areas around the spine to restore nerve functioning. The Cox Flexion Distraction Technique is most effective for reducing the effects of degenerative disc diseases and lumbar disc bulges and/or herniations, and offers several benefits for people who do not want to undergo surgery to get rid of back pain. The Activator Method Chiropractic Technique is a gentle, low-force approach to chiropractic care. Incorporating the latest advances in orthopedic, neurological and chiropractic examinations, this unique system of administering spinal adjustments using research-based analysis and the Activator Adjusting Instrument can help restore spinal balance safety and comfortably. 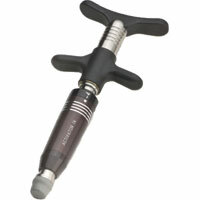 The Activator Adjusting Instrument is the tool more doctors choose to deliver low-force chiropractic adjustments. This unique hand-held instrument has been studied extensively with results published in hundreds of peer-reviewed researched papers, and was designed to give patients a specific and gentle adjustment.